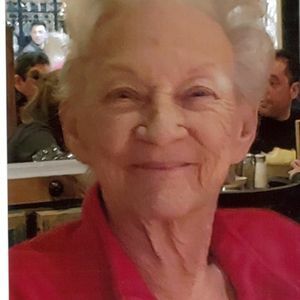 Jeanette Ann (Wegener) Adamzak, age 76, went home to our Lord and Savior on April 3, 2019 in Elk Grove Village, IL. Visitation will be at Koepsell-Murray Funeral Home, N7199 N. Crystal Lake Road in Beaver Dam on Monday, April 8 2019 from 4 pm to 7 pm. There will also be a visitation at St. Katharine Drexel Catholic Church in Beaver Dam on Tuesday, April 9 from 10:00 am to 10:45 a.m. A Mass of Christian Burial will follow at 11 am with Fr. Mike Erwin officiating. Burial will be at St. Peter Cemetery in Beaver Dam and luncheon will follow at St. Katharine Drexel Parish Center. Jeanette was born on December 18, 1942 to Mildred J (O'Connor) Wegener and Herbert Wegener in Rubicon, Wisconsin. She was a loving and caring daughter, sister, mother, grandmother, great grandmother and aunt. She will be greatly missed by her family and all those that she touched. She is survived by her brothers David H. Wegener of West Allis, Le Roy Wegener of Arizona, Thomas F. Wegener (Jeanni) of Colgate; her children, Barbara J Thompon (Mike) of Wautoma, Wendy J. Scinta (Anthony) of Elgin, IL, Sharon L. Bermingham (Sean) of South Elgin, IL, Nancy K. Adamzak (Henry) of Downer Grove, IL, Karen L. St. Jean (Andrew) of Poplar Grove, IL, and Mathew J. Adamzak (Jessica) of Glendale Heights, IL; her grandchildren Colin, Samantha, Dillon, Katelyn, Logan, Alexander, and Wesley; great grandchild, Vanessa; and many nieces and nephews. Jeanette was preceded in death by her loving husband Eugene Elmer Adamzak, James R. Kaul of Beaver Dam WI and her parents Mildred and Herbert Wegener. Add your thoughts, prayers or a condolence to Jeanette's guestbook.